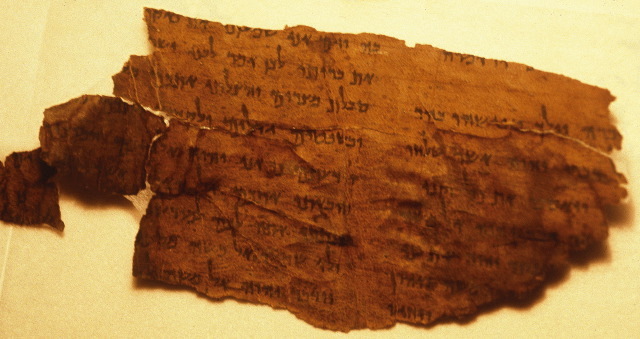 GENIZA FRAGMENT OF THE MONTH (JANUARY 2019): The Uncommon Bible: T-S AS 44.35 (Ben Outhwaite). It is unlikely that these Common Bibles preserve variant readings of great value to the recovery of pre-masoretic biblical traditions. Israel Yeivin, in his Introduction to the Tiberian Masorah (1980, as translated by the E. J. Revell) suggests ‘most are fragments of “vulgar” texts, some with Masorah, without accents, with many extra vowel letters, and so on…’ (Yeivin 1980, 30–31). But this does not diminish their value as cultural artefacts: they form a large body of evidence for ordinary Jewish engagement with the text of the Hebrew Bible in the Middle Ages. Past posts noting Cairo Geniza Fragments of the Month in the Cambridge University Library's Taylor-Schechter Genizah Research Unit are here and links. There was no fragment of the month for December 2018. Despite scholars’ ongoing historical and sociological investigations into the ancient family, the right and the status of the firstborn son have been rarely explored by NT scholars, and this topic has not attracted the careful attention that it deserves. This work offers a study of the meaning of the firstborn son in the New Testament paying specific attention to the concept of primogeniture in the Old Testament and Jewish literature. This study argues that primogeniture was a unique institution in Jewish society, and that the title of the firstborn son indicates his access to the promise of Israel, and is associated with the right of the inheritance (i.e., primogeniture) including the Land and the special status of Israel. WILLIAM ROSS: EABS 2019 CALL FOR PAPERS: SEPTUAGINT RESEARCH UNITS. The deadline for paper proposals is 28 February. There are a couple of units that deal with the Septuagint. Follow the link for details. BIBLIOGRAPHIA IRANICA: Bulletin of the Asia Institute. The current volume has a couple of articles of interest for ancient Judaism. Alas, it is not online as far as I know. IN JANUARY 2019, PaleoJudaica received 128,921 page-views, an all-time record. The previous record was 127,155 views in December 2016. Many thanks to all my readers for your faithful support! Please do keep coming back to PaleoJudaica daily for the latest news on ancient Judaism and the biblical world. And keep bringing your friends! BRYN MAYR CLASSICAL REVIEW: Bruno D'Andrea, Bambini nel "limbo": dati e proposte interpretive sui tofet fenici e punici. Collection de l'École française de Rome, 552. Rome: École Française de Rome, 2018. Pp. xiv, 170; 31 p. of plates. ISBN 9782728313365. €27,00 (pb). Reviewed by Matthew M. McCarty, University of British Columbia (matthew.mccarty@ubc.ca). If you are interested in the debated over whether (or perhaps to what degree) tophets at Carthage and elsewhere involved child sacrifice, read this review (which is in English) of a recent book on the subject. BIBLE HISTORY DAILY: Understanding an Ancient Israelite Military Title. “Governor of the city” or “commander of the fortress”? As usual, the full BAR article is behind the subscription wall. But this BHD essay gives you the basic argument. For the "City Governor" (?) bulla found recently in Jerusalem, see here, here, and here. Because it is mentioned in the above essay and article, BHD also republishes an old (2012) essay on the site of Kuntillet ‘Ajrud: Puzzling Finds from Kuntillet ‘Ajrud. A drawing of God labeled “Yahweh and his Asherah” or the Egyptian god Bes?. It was also republished last June. See the latter post for past PaleoJudaica posts on Kuntillet ‘Ajrud. For the final report on that site which the essay mentions, see here. AT THE VARIANT READINGS BLOG, Brent Nongbri continues to parse out Scott Carroll's videos (etc.) to try to infer new information about the manuscripts in the Green Collection. Sources and Destinations of Scott Carroll’s Papyri? Some tantalizing new details with lots of mysteries. The Green Collection Mummy Masks: A Possible Source. Oxford University? Really? Anything is possible, but I would like to see some decisive verification. BIBLIOGRAPHIA IRANICA: Becoming Zarathustra. Notice of a new article: Kellens, Jean. 2018. Becoming Zarathustra. In Hugh B. Urban & Greg Johnson (eds. ), Irreverence and the sacred: Critical studies in the history of religions, 185–193. New York: Oxford University Press. The article is available online. I can see it through my university account, but it looks like its behind the Oxford paywall. ANCIENT JEW REVIEW: Dissertation Spotlight | Magical Practices and Discourses of Magic in Early Christian Traditions: Jesus, Peter, and Paul ( Shaily Patel). Two recent projects are improving access to Yale’s extensive and diverse collections of Islamic and Middle Eastern art, artifacts, books, and manuscripts. “Dura-Europos, Syria: Loss and Recovery from Antiquity to Modernity” is a digital project that draws on Yale’s collection of artifacts from the ancient city of Dura-Europos to allow people to explore an important archeological and cultural site made inaccessible by conflict. The project is a partnership between the council, faculty in the Departments of History of Art and Computer Science, and curators and conservators at the Yale University Art Gallery and the Institute for the Preservation of Cultural Heritage at Yale’s West Campus. I also noted Yale's Dura Europos collection nearly a decaded ago. But now they have this website. For other posts on Dura Europos, start here and follow the many links. BIBLE HISTORY DAILY: The Magdala Stone: The Jerusalem Temple Embodied. Carved stone block depicts symbols of the Jerusalem Temple (Jennifer Ristine). The so-called Magdala Stone is a stone block carved with symbols of the Temple in Jerusalem, with the core of the Temple represented (the Hall, Sanctuary and the Holy of Holies). The stone measure 1.8 by 2 feet with a height of 1 foot. Found almost in the center of the synagogue, the Magdala Stone is believed to be a piece of ceremonial furniture on which the Torah and other sacred scrolls were placed. But is it simply a bimah (a traditional holder for the scrolls), or does it have some deeper significance? For many past posts on the Magdala stone and the ancient city of Magdala, start here and follow the links. RECOGNITION: Iraq priest who saved Christian heritage ordained Mosul archbishop (AP). That priest is Father Najeeb Michaeel. For the story of his rescue of precious Syriac, Arabic, and other manuscripts from Isis in 2014, see here, here, here, and here. Congratulations to Father Michaeel. Cross-file under Syriac Watch. THIS IS ARMENIAN WEEK AT THE BRITISH LIBRARY'S HERITAGE MADE DIGITAL FEED. Go and have a look. THE ANCIENT NEAR EAST TODAY: The Bearded Figure Who Might be King (Naama Yahalom-Mack). Figurines are not uncommon in the Southern Levant, but few can be plausibly suggested to be of kings. But Tel Abel Beth Maacah, a 35-acre site in northernmost Israel that was settled throughout the Bronze and Iron Ages, may have produced just such an image. Could be. But it sounds as though iconography specialists aren't even sure what culture it comes from. The ANE Today site also has a recent report on the Tel Abel Beth Maacah excavation, where the object was found. Past posts on the figurine are here and here. THE AWOL BLOG: Hellenistic Alexandria: Celebrating 24 Centuries. This looks like an important (print and open access) publication. The TOC has a lot of interesting titles. But it is disappointing that none of them have anything to do with Alexandrian Judaism. That is quite a significant gap in coverage. NUMISMATICS: Student Discovers Rare 2000-Year Old Coin near Shiloh (David Israel). Past posts on or involving Herod Agrippa I are here and links, here, here, here, and here. EXHIBITION: Remnants of the UNESCO World Heritage Site of Shivta Were Long Believed Lost in a Fire. Then a Letter Surfaced. Objects from the Negev archaeology site, found through a 1938 letter from a customs clerk, are now on display at Haifa’s Hecht Museum (Nir Hasson, Haaretz premium). Harris Dunscombe Colt sounds like a feckless archaeologist, even for the early twentieth century. If Indy had found out that Mr. Colt was selling artifacts from Shivta on the antiquities market, he would have grabbed him by the necktie and said, "They belong in a museum." Fortunately Mr. Colt's fecklessness extended to forgetting a crate of precious small finds from Shivta on a dock at the Haifa Port. This article tells the story of how two intrepid archaeologists tracked them down last year, and so the finds ended up in this exhibition. I have already mentioned the Shivta exhibition at the Hecht Museum here, but this article tells much more about its background. Follow the links for recent posts on the Shivta excavation and the many important discoveries there. H-JUDAIC HAS DETAILS: 2019 Gorgias Book Grant. Win $500 of Gorgias Press titles through the 2019 Gorgias Book Grant. For you, special deal! Maybe. If you are a postgraduate student working in a relevant area, it sounds worthwhile to apply. THEOLOGICAL POLITICS: Diplomatic and religious issues complicate reopening of ancient Jerusalem tomb. A tour of the French-owned, Roman-era Tomb of the Kings in East Jerusalem, which has been closed since 2010 for renovations (Mike Smith, AP via Times of Israel). This story was also covered last month in a Haaretz premium article. But the current article is freely accessible. Background on Queen Helena of Adiabene is here and links. And for past posts on Herod the Great, see here and links. WILLIAM ROSS: ANNOUNCING THE WINNERS OF OUR GIVEAWAY. Since I posted on the drawing, I should let you know who won. ARCHAEOLOGICAL POLITICS: Israel unearths a sacred Roman-era road in East Jerusalem, unsettling a Palestinian neighborhood (Ruth Eglash and Loveday Morris, Washington Post). Another controversy between Elad and Emek Shaveh. For more on both, see here and links. A recent post on the Pilgrim's Road Project is here.